German passport has been considered as the most influential passport as the citizens holding it can travel to 177 nations recognized by the United Nations without any visa. Henley & Partners Citizenship rankings reveal that the United Kingdom is not ranked in the top 10 most powerful passports. 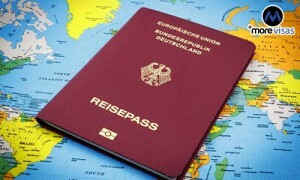 It lost its position to two countries which have relaxed visa rules. The Britons can travel to 175 countries and the US nationals can travel to 174 countries without any visa requirement. Afghanistan’s passport is the least influential passport as it allows the citizens to travel to only 25 countries. Bangladesh, Congo (Democratic Republic of), Lebanon, Sri Lanka, 39Burundi, Korea (Democratic People’s Republic of, North), Myanmar, 42. ← Australian Residents and Australian Citizens – How they are NOT the Same!